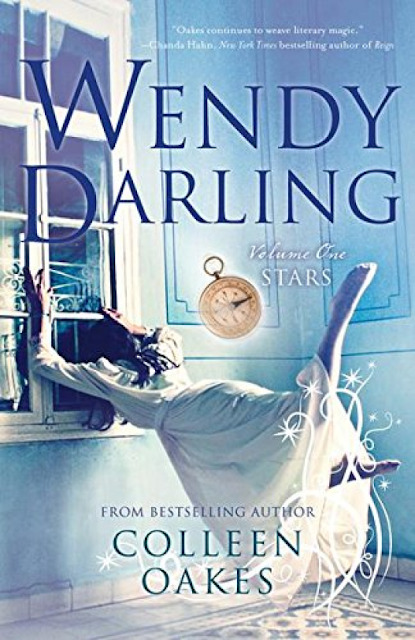 Wendy Darling has a perfectly agreeable life with her parents and brothers in wealthy London, as well as a budding romance with Booth, the neighborhood bookseller's son. But one night, while their parents are at a ball, the charmingly beautiful Peter Pan comes to the Darling children's nursery, and—dazzled by this flying boy with god-like powers—they follow him out of the window and straight on to morning into Neverland, an intoxicating island of freedom. As time passes in Neverland, Wendy realizes that this Lost Boy's paradise of turquoise seas, mermaids, and pirates holds terrible secrets rooted in blood and greed. As Peter's grasp on her heart tightens, she struggles to remember where she came from—and begins to suspect that this island of dreams, and the boy who desires her, have the potential to transform into an everlasting nightmare. Sixteen year old Wendy has a budding romance with her best friend Booth, the son of the local bookseller, at least she did - until the night her youngest brother Michael had a nightmare that something bad was going to happen to them. The night the bedroom window breathed and melted before their terrified eyes, the night they met Peter Pan. From the terror of that moment, to the fantastical nature of Neverland, Oates doesn't fail to disappoint - the story draws you in and keeps you longing for more. Wendy doesn't understand the attraction she feels for Peter, and struggles to remember the boy at home that she was falling in love with. She just knows that something isn't right - that the things she experiences and witnesses at Neverland is not the game the Lost Boys are convinced it is. Can she convince her brothers that they need to leave before its too late?